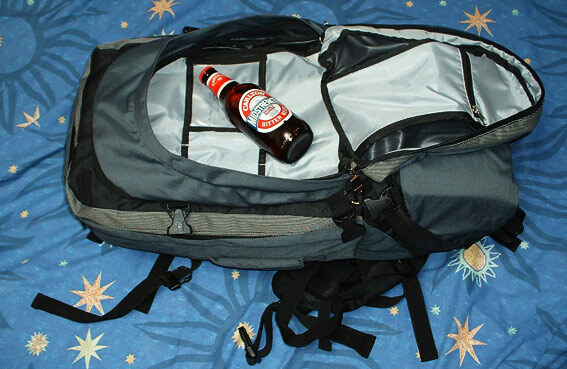 The detachable day pack (supplied with the pack) has plenty of room for drinks. You might even find space for a little food and clothing if you pack well. Most of the time I configure my pack without the day pack since everything I use regularly fits easily into the main pack with room to spare.